Pokemon: Let's Go, Pikachu and Eevee! 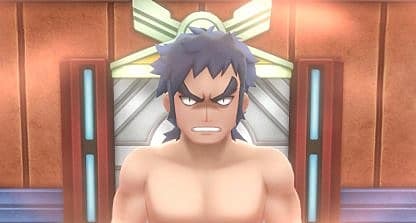 might change up a few things, but it keeps the big endgame challenge intact: your fight against the Elite Four and Pokemon Champion. Whether this is your first Pokemon game or you've played since Red and Blue, Kanto's ultimate trainers pose a fairly significant challenge. That's why we've put together this battle guide so you know exactly what awaits you at the Indigo Plateau. What is the Elite Four Challenge? If you’re new to Pokemon, here’s a brief rundown of the Elite Four. These trainers and the Champion comprise the Pokemon League—and the main game’s biggest challenge. 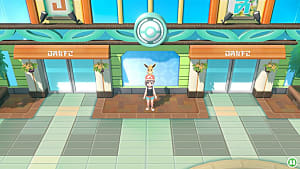 After obtaining all eight gym badges and traversing Victory Road, you must take on all five League trainers in a row without the chance to use a Pokemon Center or visit a PokeMart in between, so make sure you’re well-stocked on Hyper Potions, Revives, and Full Heals. 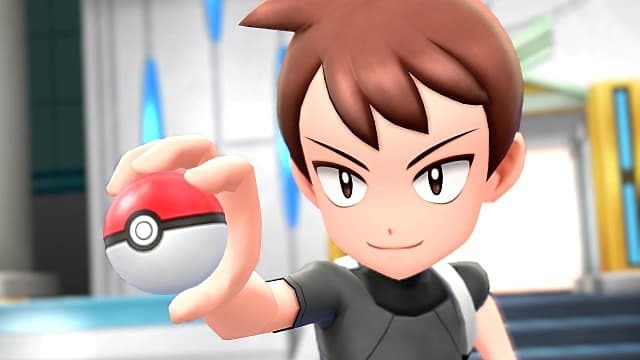 You’ll need some variety in your team types as well, and it’d be good to vary each Pokemon’s moveset too, with some moves matching the ‘mon’s type, some status inflicting or stat altering moves, and a move of a different type. There's no one type that'll let you sail through the battles with ease, but in general, make sure you've got access to Electric, Ground, Water, and Ice moves to give your team a leading edge. More importantly, your team needs to be at least level 50 if you want a chance to survive, preferably a bit higher. 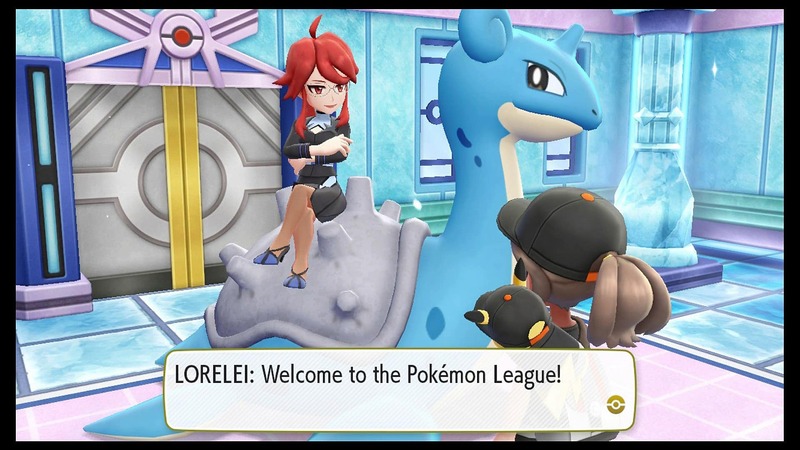 You’ve met Lorelei a few times on your journey, and she’s your first Elite Four challenge. As you no doubt realized during your encounters, she specializes in Ice types. But Gen 1 has no pure Ice types, meaning each of her Pokemon has another type weakness you can exploit. Tempting as it may be to take on Dewgong, Cloister, and Lapras with a Grass type, forget it; they won’t last. Fire won’t be much help either, given their Water type moves. 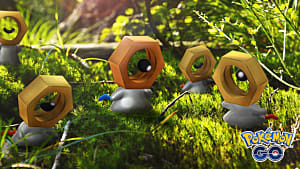 However, a Fighting type, especially Hitmonchan, would work wonders on all three, since Ice is weak to Fighting, or use a strong Electric type to make quick work of these three. Jynx and Slowbro are best handled with either a Ghost type or a Pokemon with Ghost or Dark type moves. Slowbro’s a bit toothless in Let’s Go thanks to it no longer knowing Amnesia, so it shouldn’t pose much of a challenge. Jynx isn’t all that tough this go around either, aside from Lovely Kiss. A good Crunch or Dark Pulse, even Flamethrower, is all it takes. Poor Bruno. He never posed much threat in the original Gen 1 games, and he’s not that tough now either. Flying types won’t do you much good here, even with their advantage over Fighting. Bruno’s Onix might not know any moves that would harm a Flying type, but Hitmonlee’s and Machamp’s Rock Slide, plus Hitmonchan’s Thunder Punch make it too risky to use Flying Pokemon. Ghost types might seem ideal too, but each of Bruno’s Pokemon knows strong moves of different types that would completely demolish a frail Gengar. Try taking Onix out in one turn with a speedy Grass or Water type, so you can avoid Stealth Rock sapping your team’s health for the rest of the battle. If you’ve got a Psychic type, or a sturdy ‘mon with Psychic moves, like Starmie, Golduck, Exeggutor, or Clefable, that would take care of Hitmonlee's weakness and could probably withstand Hitmonchan’s Punch moves. Poliwrath’s weakness is in its dual type, which makes it almost too simple to knock out. If you don’t use Psychic types for it, you’ve still got openings for Electric and Grass, and since Poliwrath is a Fighting type, it’s Special Defense stat is pretty low anyway. Exploiting Machamp's weakness could be tricky depending on your team setup. Your starter Pikachu or Eevee would need to be buffed up a lot to handle Earthquake and Superpower, so this might be a better match for your Psychic Pokemon or a strong Fairy type. 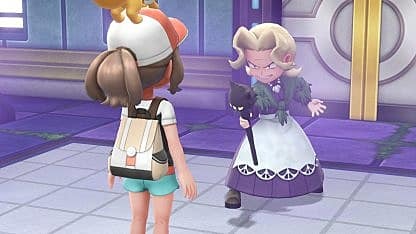 Agatha was always a bit of an anomaly—powerful Pokemon and deadly poison, but her team has two huge, glaring weaknesses: Ground and Psychic types. If you’re team is in good shape after the fight with Bruno, you should be able to speed through Agatha with little problem. Arbok and Golbat know Crunch, so don’t try your Psychic types unless you know they could either handle one hit or dispatch the opponent with one move. Ground types—especially the speedy Dugtrio—or a strong ‘mon with Earthquake would be your best ally against Arbok, though Golbat will probably need a Pokemon with a Rock or Electric type move. Weezing is a bit of an odd inclusion. Shadow Ball is the only dangerous move it possesses, but this being Gen 1, it doesn’t have a Levitate ability. That means you could probably use Earthquake and destroy it before it had a chance to use Shadow Ball anyway, since Weezing's biggest weakness was always the Ground type. The same goes for the two Gengar. They’re fast and deadly with special attacks, but Ground type moves exploit its dual Poison type tremendously. Just don’t bring in a Psychic or Fairy type for these battles, and you’ll do fine. There’s really only one Dragon type family in Gen 1, so Lance’s team was always a bit of a hodgepodge. 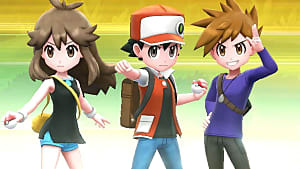 The Pokemon: Let’s Go, Pikachu and Eevee! games varied Lance’s party quite a bit, though, replacing both Dragonair with Seadra and Charizard respectively. This is where a well-balanced party and moveset comes in handy. 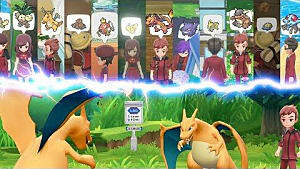 Ice types or moves would do well against Dragonite, but that’s about it, and Electric types tend to be fast, yet frail. Seadra is best dealt with using Electric types or moves. 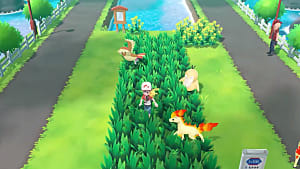 Grass may be tempting, but unless you have a strong or varied Grass type, it’s not really worth taking into the League battles, because there just aren’t enough type advantages for it (and there plenty against it). Gyrados looks fearsome, but can’t hold up to Thunder or Thunderbolt (even Thunder Punch). Aerodactyl's weakness to focus on is also Electric. A strong Electric type might withstand Aerodactyl’s Earthquake long enough to knock the foe out, but if you’re having too much trouble, a Fighting type would suffice. It might be part Flying, but in the first matches, it knows no Flying moves. Then there’s Charizard. Water would likely be your best friend here, though Electric could, again, exploit its Flying aspect if it can take a few hits on the way. 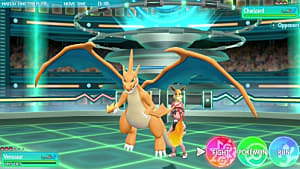 The best choice for Charizard would actually be a Rock type move, dealing four times the damage owing to its Fire/Flying split, while having the benefit of a large HP pool. Dragonite, king of the Gen 1 Pokedex, isn’t all that intimidating this time. The biggest Dragon weakness is always ice, so Ice Beam a few times, and down it goes. Fire Punch might look intimidating, but like with Lorelai, there’s no pure Ice type, and a strong Water type you taught Ice Beam to would make this battle incredibly easy. One other thing to keep in mind is having a viable second for backup. That way, if you get hit by Hyper Beam and lose one of your 'mon, you can use the recharge turn to finish your foe. Remember when I said the Elite Four actually has five trainers? That’s because your rival beats you to the title of Champion and is your final challenge. His team is completely different from Gary’s team in Gen 1, so if you’re thinking your old strategies would work well here, think again. Your Ice type 'mons or moves you used against Lance would help tremendously against Pidgeot and Vileplume, especially since Vileplume’s Solar Beam takes a turn to charge, and Pidgeot’s Heat Wave would only do normal damage against an Ice/Water type. Your rival’s Marowak is designed to deal with Ice types, but a Water type or Ice/Water mix would have no trouble in this match. Plus, you could use the same Pokemon to take out Rapidash without much issue, since its only concerning move is Poison Jab. The only difference between your rival’s Slowbro and Lorelei’s is his knows Light Screen instead of Flamethrower. 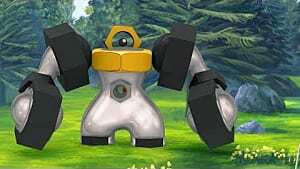 If it poses too many problems as the battle wears on, since it lessens the damage your Electric types could deal, you could shatter it with Brick Break, then continue whittling its health down. Raichu and Jolteon aren’t too worrisome either. By now, you know how to effectively use Ground types, and neither knows a move that can really harm a Ground type anyway. Congratulations! You're now Pokemon Champion and beat the game. 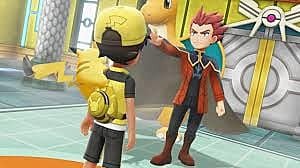 But, if you're wondering what to do after beating the Elite Four, there's actually a lot of postgame content in the Let's Go games. The biggest challenges actually still lie in store--Master Trainers, and Trainers Red, Blue, and Green. 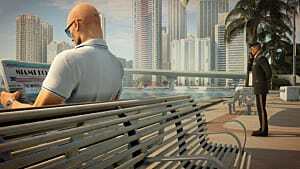 You can check out our guide for more details on how to find and beat those three. But, you can also re-challenge the Elite Four and your rival once per day, which is a great way to level up for the other postgame challenges. Each trainer's Pokemon are 10 levels stronger than they were the first time, each added an Alolan Form Pokemon (plus Lance has Mega Charizard), and then they all have a fourth move in their set, with some other move changes too. Your strategy for this rematch won't need too much changing. Most of the additional moves can cause different kinds of damage or inflict status, but don't change the game much. The biggest differences are Alolan Sandslash and Jynx's Shadow Ball. Sandslash's weakness is Fighting, which would deal four times the normal damage, taking advantage of Ice and Steel's weakness. Jynx could still be taken care of with a fast Ghost type or another Pokemon who knows Ghost or Dark moves, so it shouldn't be too messy. Lapras's Thunder is deadly, but won't harm a Fighting type terribly either. Bruno's team is a bit more well-rounded in the rematch, but it's nothing earth-shattering. Golem's slow speed means you can take it out with a Water type before it can even land a Thunder Punch, and unless you planned on using a Flying type for Machamp, Ice Punch doesn't add much to its move roster. Hi Jump Kick can cause a lot of damage if it actually connects, and with Hitmonlee now knowing Poison Jab, it means your best bet is a devastating Psychic type--Mewtwo, if you're struggling with your normal team. Agatha's new additions don't do much to cover her primary weaknesses either. Alolan Marowak's dismal Special Attack stat means Shadow Ball won't pose much threat, and if your Ground type is up for it, Marowak's Fire type means Earthquake (or even Bone Club or Bonemerang) would work just fine here too. Weezing and Arbok get a couple of upgrades, though they're mostly just ways to dish out higher damage levels. Sucker Punch is one to be aware of, since it can quickly wear your Pokemon down if you don't end the fight in a few moves. Lance's team gets the most upgrades, with Alolan Exeggutor and Mega Charizard X being the noteworthy ones. Charizard's Thunder Punch makes Water types less viable this go around, so make sure at least one of your team knows a good Rock type move. Alolan Exeggutor is incredibly weak against Ice, but can easily take out a Hitmonchan or Water/Ice type with Psychic and Mega Drain respectively. 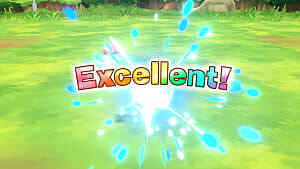 Flying type moves would be useful, as would Fire moves, and if you're finding it difficult, don't forget those X stat buff items exist for a reason. Your rival's team gets some extra moves and, of course, stat improvements. However, their new moves don't alter much in terms of strategy, except Marowak's Thunder Punch. It'll be a tough fight, but chances are, the team you used the first time wills till work in the rematch. Let us know what team you used to take on the Elite Four in the comments, and be sure to check out our other Pokemon: Let's Go, Pikachu and Eevee guides!